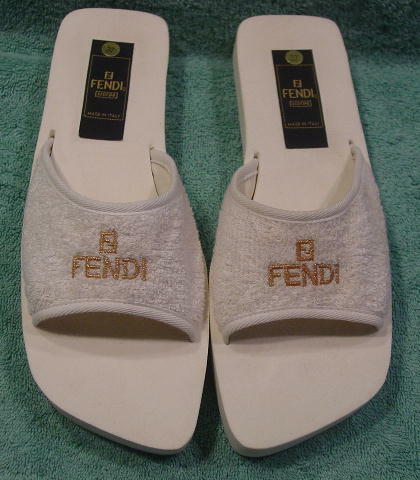 These never-worn terrycloth strap and manmade sole slides are by Fendi. 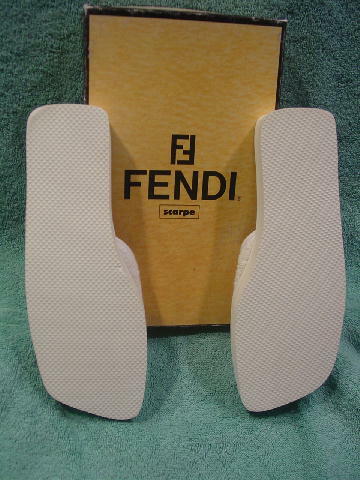 The white terrycloth exterior has a nubby texture and a gold embroidered Fendi and Fendi double F logo. The interior of the strap is in a creamy-bone canvaslike fabric. 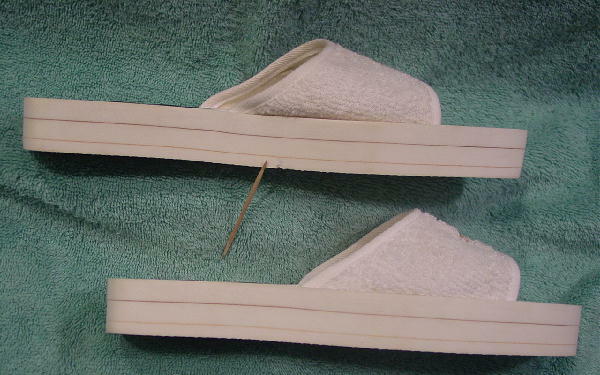 The insole is in the same creamy-bone. 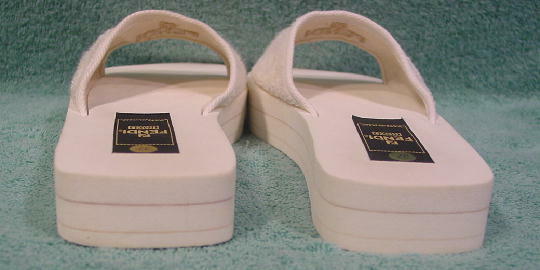 The soles are in the same creamy-bone and have two horizontal accent lines. 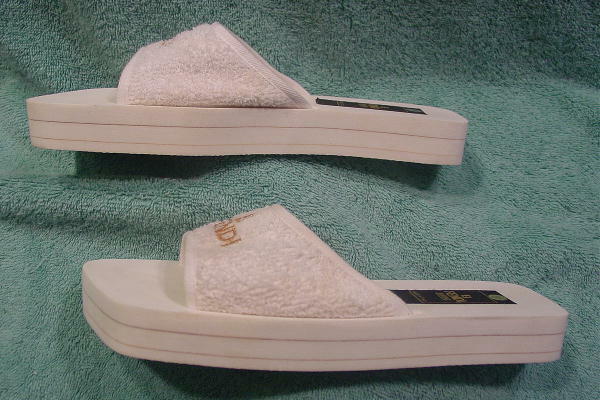 The inner side of the left shoe has a small ding on the bottom side by the sole. One she kept and used for photo shoots in Miami, and this unworn pair she had in New York. They were sitting on a shelf in her studio and have gotten dusty. She forgot they had their own box, which is not in the best of shape.